Spawning carp is not the best time for fishing. Fish in this period, the fed does not want to, she's busy with other urgent needs. Therefore to know the approximate date of spawning carp need in order to not lose time to no avail. The weather in spring is unstable, so the exact date when a carp spawns, no. Sometimes the mating season may occur in the first half of may, sometimes in early June. If you may notice splashing on the shore carp, good fishing soon will be. As a rule, the playfulness of the fish at this time is a sign of the onset of the breeding season. However, experienced fishermen say that in the first days of spawning, the fish are actively powered. Accurately guess the time a good bite is hard, so most of the hunters fish is not tempting fate in late spring. If may was cold, with heavy rains and frosts at night, crucian carp may delay the spawning in June. 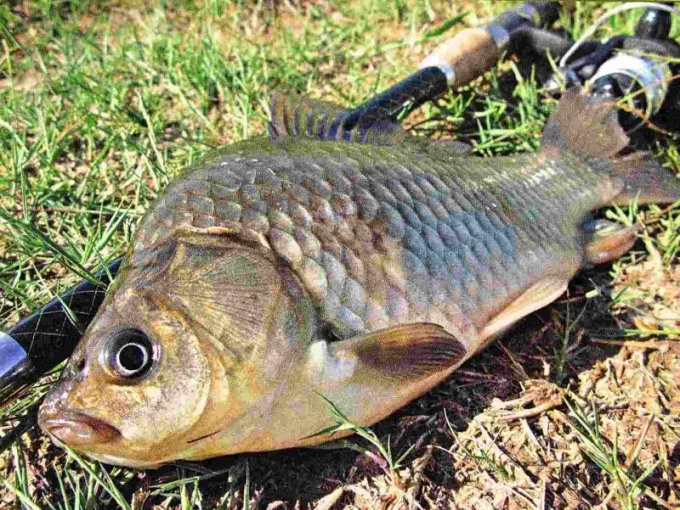 Golden carp are more dependent on heat than its silver counterpart. The ideal water temperature for mating - 17-19 degrees for 13-15 gold and for silver carp. Effect of heat and duration of the spawning period. In good weather, carp to cope with their family obligations. The marriage game is nearing completion, when the females can no longer wear eggs. At this time, all carp collected in the thickets of underwater and the females lay thin stems and leaves of the first batch of eggs. These servings are usually a few around 4-5. The female spawns them in one day, so arestovana can last until mid-June. The bigger and deeper the pond, the longer the period of spawning carp. It can last for a month. Morning hours is the time of spawning carp. Each serving contains up to 150 thousand eggs. As carp - inhabitant of stagnant water, the eggs are not carried away with the current, but this does not mean that all the eggs turn into fry. Caviar carp eat tadpoles of other fish, frogs, crawfish and a huge number of aquatic insects. The fry in the first hours and days of life are very vulnerable, they hunt larvae of beetles, predacious diving beetles and dragonflies, water bugs and Scorpions. Most of the eggs and fry of carp dies. Only about 30% of the fish survive to a year. Start fishing for carp in April prior to spawning. Cold water and the need to stock up on fat during this time promotes a good appetite of the fish. The bite lasts until mid-may, a month lasts for spawning and, again, the appetite of carp wakes up in the middle of June. Summer is relatively stable, if not frequent sharp jumps of temperature. And fades the intensity of the biting of a crucian to the first serious autumn cold snaps.